We promise you'll get the lowest price everyday on all our luxury stone products! We search the world and work hard to avoid the middle man and cut out all unnecessary costs in order to insure that we can deliver on that promise. 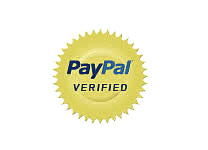 If you find a lower price on the same product, please let us know and, upon verification, we will beat it by 10%. There's no need to wait for a sale to complete your project! A competitor's price must be an everyday or advertised price on an identical or similar in-stock item. Damaged, clearance, close-out, discontinued, special-buy or liquidation sales are excluded from this offer. We really want your business!